Betty's major was undeclared, so she took classes in various fields while seeking advice from advisors and professors. "I always knew I wanted to do something to help people; I just wasn't sure what that was going to be," she says. She eventually chose to major in sociology, received her diploma from Mary Washington, and then continued her search for purpose. She was working as a substitute teacher in Florida when a principal suggested she pursue a career in counseling. With newfound clarity, she enrolled in graduate school, received a master's degree in education, and accepted her first counseling position in Broward County, Florida. 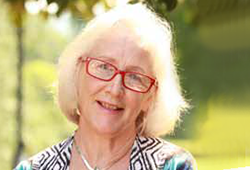 With more than 40 years of service in the counseling profession, Betty Dobbins Talley has brought her experience back to Mary Washington. During the Mary Washington First Campaign, she made a significant contribution to create an endowment and to rename the decades-old Center for Counseling and Psychological Services. Approved by the UMW Board of Visitors, the program and office space in Lee Hall is now called the Talley Center for Counseling Services. "I strongly feel that counseling centers on college campuses should have an aura of easy access and warmth without any stigma that can be caused by certain labels, such as those referring to psychological services," says Betty. "Not every issue requires medication or deep therapy. Sometimes, students just need to talk to someone and to receive a little guidance or direction." 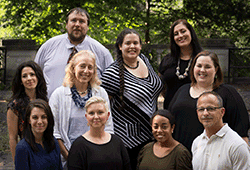 The Talley Center for Counseling Services is staffed by licensed mental health professionals. Their goal is to help students effectively meet the demands of college, and they offer support for personal, social, and intellectual growth and development. Betty's gift will establish an endowment to enhance existing student counseling services and outreach. As a member of the UMW Heritage Society, Betty also has included a gift to UMW in her estate plans. "We have a long family history in counseling and education," says Betty. "My late husband, Page, was a lifelong counselor and educator. When we began planning our estates, we decided to support the two institutions that had given each of us our initial starts  Mary Washington and his alma mater, Western Kentucky University." When in Virginia, Betty stops by campus to visit with the Talley Center staff and to share her experiences. "I hope this is just the beginning of an extensive outreach from the counseling staff and that they make their services widely known and utilized by those who need them," says Betty. "I know firsthand how rewarding it is when students come back years later to acknowledge your guidance and to thank you for making a real difference in their lives."